Sometimes it pays to bypass the middleman. Middlemen have played an important role in commerce for as long as people have been buying. They serve as intermediaries between the people who produce products and the people who want to purchase them. Middlemen are in business to make money. And why not? They do a lot of legwork and take on considerable financial risks associated with shipping, storing and re-selling. So they mark up the prices of products and pass on their costs to you, the consumer. In a sense, you are paying the middlemen to make your life easier, to take on many of the headaches associated with shopping. But sometimes buying factory direct is as easy as buying from a middleman. This is especially true when manufacturers install their product or have a warehouse that includes a storefront for customers. Purchasing directly from the factory can save you money on the middleman markup. Middlemen make their money through markups. So naturally they want to sell the products with the highest margins. This means they have incentive to steer you towards products less expensive for them and more expensive for you. You, on the other hand, want the best quality at the best price. Buying directly from the factory allows you to make decisions about quality and price. 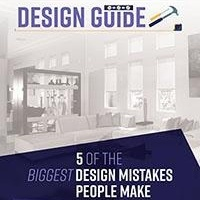 You don't have to depend on someone else to make quality control decisions. 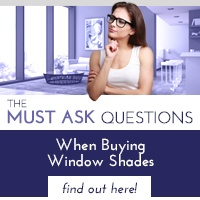 When you buy window shades through a middleman, you won’t get to connect and communicate with the manufacturer. 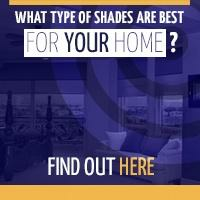 You may not know exactly how the window shades are made, and how many options are actually available to you. If there's a problem with your window shades, you are often at the mercy of the middleman, who may or may not have any financial incentive to make things right. On the other hand, manufacturers know their products better than anyone. And they have every incentive to ensure you're happy with your window shades. At the end of the day, they want to protect their brand, reputation and business. Manufacturers aren't only the best people to answer technical questions, they are the best people to fix problems and provide customized solutions. If you are in the market for window shades, connect and communicate with Polar Shades. You'll enjoy the ease you expect from a retail environment, the knowledge that comes from the experts and the cost-savings you won't find elsewhere. 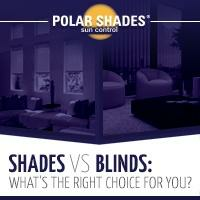 Contact Polar Shades today to experience service, quality and window shade innovation.